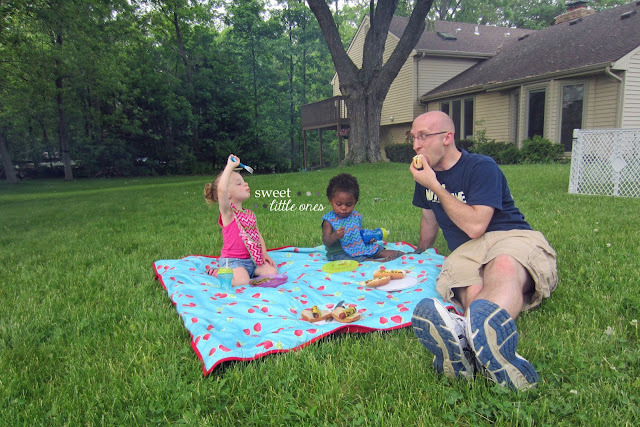 One of our favorite summertime activities is to go on a picnic...especially in our own backyard! My kids love eating outside - it's like an adventure for them! So having picnics at home is such a fun and easy way to create some special moments with my kids during the summer. 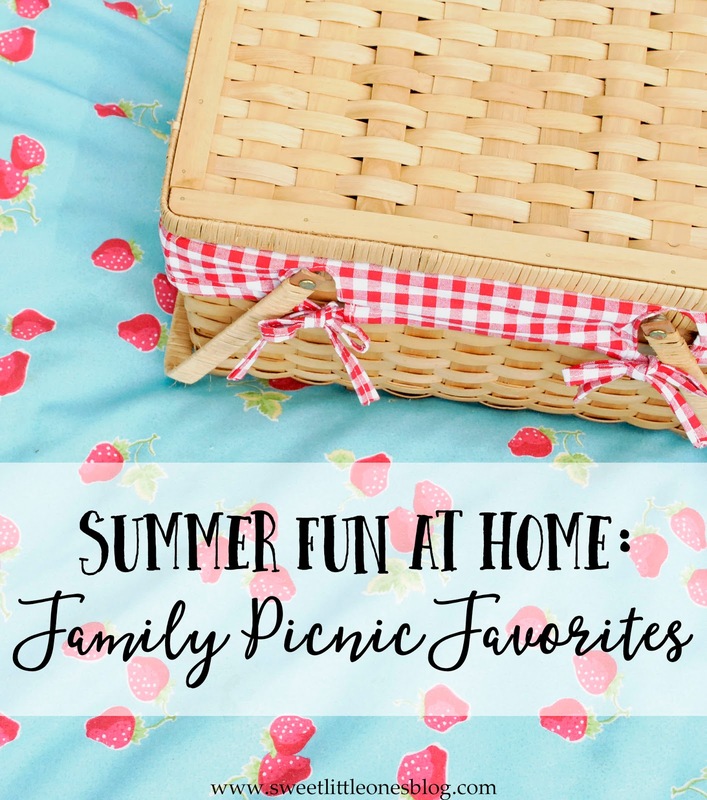 And having a family picnic is all about having fun! So I make everything as simple as possible because the focus should be on spending time with my family and not on prep and clean up (am I right?). Because this is what it's really all about! For the food, we go for fun finger foods. Our favorite picnic "sandwiches" are actually wraps. I just spread a little cream cheese on a tortilla and then add chia seeds, cheese, cold cuts, green peppers or avocado, and spinach or romaine lettuce. It's simple, and the kids love it because it's rolled up! Or we eat our other favorites: hamburgers and hotdogs on the grill! And to go along with the main meal, we serve fun and not-too-messy sides, like apple slices, blueberries, carrot sticks, string cheese, pretzels, cookies, and Annie's bunnies. While the food is being prepared, the rest of the family gets the kid's picnic table and the picnic blanket or beach towel ready. Many hands make light work! 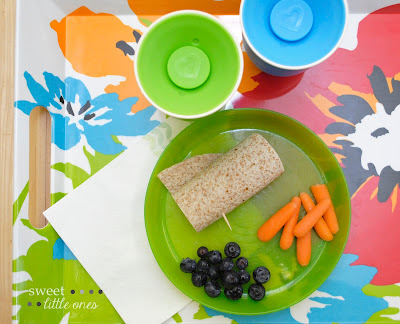 What makes having a picnic fun and easy for me are these 2 things that I learned from experience: using a serving tray and using cups with lids. I have 2 pretty, colorful serving trays that I use to take the supplies and everyone's meals outside so it's less in and out of the house for me. And we use cups with lids - for the kids and the adults - so there are less spills from uneven surfaces. It makes prep and clean up quick and easy so there's more time to just kick back and relax together. You don't have to go somewhere or do something big to have fun with your family. There are lots of little things at home you can do too, like having a family picnic in your own backyard. There's nothing like turning the ordinary moments into special memories! 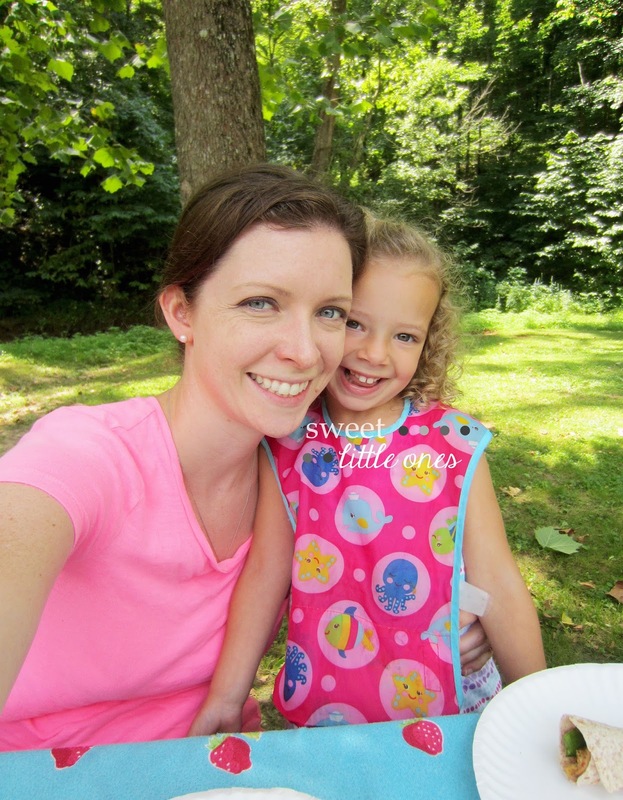 Do you have picnics at home? What are your favorite picnic meals? What are your tips and tricks to make having picnics a breeze? Here's to a summer of simple and carefree fun with our families! 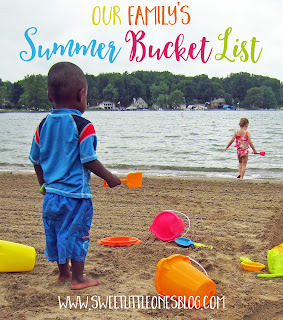 Today, I am joining eight other bloggers in sharing encouragement for your summer! There is a little bit of everything in these posts - we hope they encourage and inspire you! Hope you're having a great start to the summer with your family!